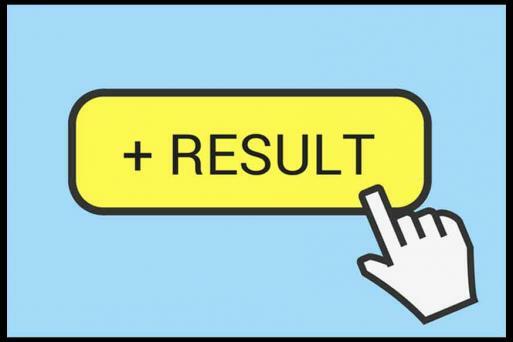 Bihar Board Class 12 Result 2019 | The Bihar School Examination Board announced the results of Class 12 Intermediate exam today. The Class 12 Intermediate (Arts, Science and Commerce) result 2019 is available on the official website of BSEB at bsebinteredu.in. A total of 53,5110 candidates qualified in Science stream making a pass percentage of 81.20%. On the other hand, 42,5550 candidates qualified in arts stream making a pass percentage of 76.53%. Further, 59,135 candidates qualified in commerce streams with a total pass percentage of 93%. Rohini Rani of St Teressa Girls High School High School, Bettiah and Manish Kumar of Gaya College Gaya scored 92.6% and 463 marks. Besides, this year, the toppers of Bihar Board inter result scored better than 2018 toppers. This year, Science topper Rohini Prasad and Pawan Kumar scored 94.6%. 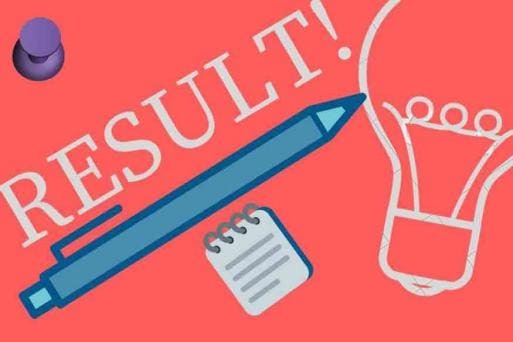 The Bihar School of Education Board has announced the Class 12 Intermediate result 2019 on its official website at bsebinteredu.in. The pass percentage stands at 79%. Bihar Board Class 12 Inter Result to be Out After 3 pm | Bihar School of Education Board is expected to announce the Class 12 inter results after 3 pm now as BSEB officials have not yet arrived at the press conference. Students who had taken the intermediate examination under the Bihar Board in February, 2019, must keep their admit cards in handy to quickly access their class 12 Inter result. Students can also jot down their registration number on a piece of paper, which is required to be filled in during login. Bihar Board students anxiously await the result for Class 12 Intermediate examination for Arts, Science and Commerce streams. BSEB officials will announce the Bihar Board inter result 2019 at a press conference shortly. The media has arrived at the BSEB office for the press conference, however, Bihar Board officials including Chairman Anand Kishore, have not arrived yet. The Bihar Board Class 12 Intermediate Results will be declared shortly. BSEB Websites Crash | As the Bihar School of Education Board is about to declare the class 12 intermediate result 2019, all websites of BSEB have already crashed, as a result of which, students are anxiously waiting. Around 13 lakh candidates are eagerly waiting for the Bihar Board 12th results to be declared by BSEB. The results will be declared at 2:30 pm today. Bihar Board toppers will get a scholarship of Rs 1 lakh, BSEB official said. Last year, Kalpana Kumari had topped the Science intermediate exam with a score of 434 marks out of 500. She was also the topper of NEET exam 2018. In the Commerce stream, Nidhi Sinha of RDS College Muzaffarpur was the topper with 434 marks. Kusum Kumari from Simultala Awasiya Vidyalya, Jamui had topped the Arts stream exam by scoring 424 marks. The Bihar Board will announce the BSEB Class 12 Intermediate result 2019 for Arts, Science and Commerce on its official website at bsebinteredu.in. 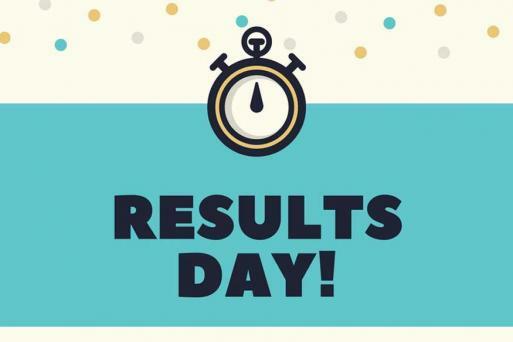 Time Deferred for Bihar Board Class 12 Inter Result 2019 | The Bihar School Examination Board or the BSEB will declare the result for Class 12 intermediate exam (Arts, Science and Commerce) at 2:30 pm. To get quick access to you Bihar Board Class 12 Inter result 2019, candidates must keep their admit cards handy. The BSEB will declare the Bihar Board Class 12 Intermediate result 2019 on its official website at bsebssresult.com, biharboardonline.bihar.gov.in. 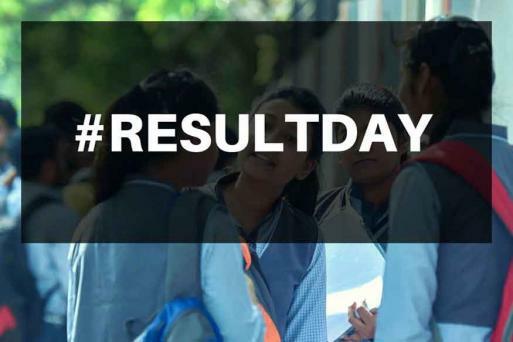 Less Than an Hour Left for Bihar Class 12 Inter Result 2019 | The 13 lakh candidates who are waiting for their results have to wait for few more minutes only as the Bihar Board Class 12 Intermediate result will be declared at 1 pm today. Bihar Board Toppers to be Declared Today | Bihar School Examination Board or the BSEB chairman Anand Kishor will declare the top three rank holders of all streams today at 1 pm during a press conference. Bihar Board chairman Anand Kishor will address a press conference and the Bihar Board Class 12 Intermediate result 2019 will be uploaded soon after the presser. All the three streams: Arts, Science and Commerce along with the vocational stream result will be announced today at 1 pm. All students who had appeared for the Bihar Board Intermediate exam must visit both the websites at bsebssresult.com, biharboardonline.bihar.gov.in as the BSEB will soon release the Class 12 Inter results. Less than Hour to go for Bihar Board 12th Result 2019 | The wait for Bihar Board Class 12 Intermediate Result 2019 is about to end soon. The 13 lakh candidates have to wait for only few more minutes now as the Bihar Board will declare the intermediate results at 1 pm today. Bihar Board's Initiative to Reduce Students' Trouble | This year, students did not face any trouble of filling the circles in the OMR sheet as the OMR sheets have the name of candidates, roll code, roll number, subject code and date of exam will be printed. Candidates only had to fill the circles for the answers. Bihar Board Pass Percentage in 2018 | In 2018, a total of 12.07 lakh students had appeared for the Intermediate exams and in 2017, about 13 lakh students had appeared for the Inter examination. Last year, 52% candidates had passed the Bihar Board intermediate exam. The result had seen an improvement as compared to 2017 result when only 32% students could pass. How to Check Bihar Board Inter Result 2019 on Phone | Candidates for whom availability to computers or cyber cafes is not possible can check their Bihar class 12 Inter result on mobile by following these simple steps. Visit the official websites of Bihar Board at bsebinteredu.in on your mobile. If any problem arises, go to the settings option on Google Chrome. You will get an option of “DESKTOP SITE”. 55 Imposters Arrested During Bihar Board Intermediate Exam | The Bihar Board chairman Anand Kishore has claimed that the matric exam was conducted in a fair manner. Having said that, 162 examinees were expelled for using unfair means in the examination and 55 persons impersonating as candidates were arrested. Bihar Board Intermediate Toppers of 2018 | Last year, Kalpana Kumari had topped the Science intermediate exam with a score of 434 marks out of 500. She was also the topper of NEET exam 2018. In the Commerce stream, Nidhi Sinha of RDS College Muzaffarpur was the topper with 434 marks. Kusum Kumari from Simultala Awasiya Vidyalya, Jamui had topped the Arts stream exam by scoring 424 marks. Bihar Board Intermediate Admit Cards 2019 | Candidates who had taken the Bihar Board Intermediate exam 2019 must keep their BSEB admit cards ready so that they can quickly check their roll number and roll code to log in for checking the results. Bihar Board to Declare Intermediate Result Before 30 Days for the 1st Time | The Bihar board intermediate examination 2019 ended on February 16 and this is for the first time that the BSEB is announcing the results in less than 30 days. Earlier, the Bihar Board results were declared in the month of May while in 2018, the result of BSEB intermediate exam was declared on June 6. Here's the direct link to check the Bihar Board Class 12 Intermediate result 2019. The Bihar board intermediate examination 2019 ended on February 16 and this is for the first time that the BSEB is announcing the results in less than 30 days. The Bihar board intermediate examination 2019 ended on February 16 and this is for the first time that the BSEB is announcing the results in less than 30 days. All students who had appeared for the intermediate examination must check the website bsebinteredu.in as the Bihar Board will soon release the Class 12 Inter results. In 2018, a total of 12.07 lakh students had appeared for the Intermediate exams and in 2017, about 13 lakh students had appeared for the Inter examination.